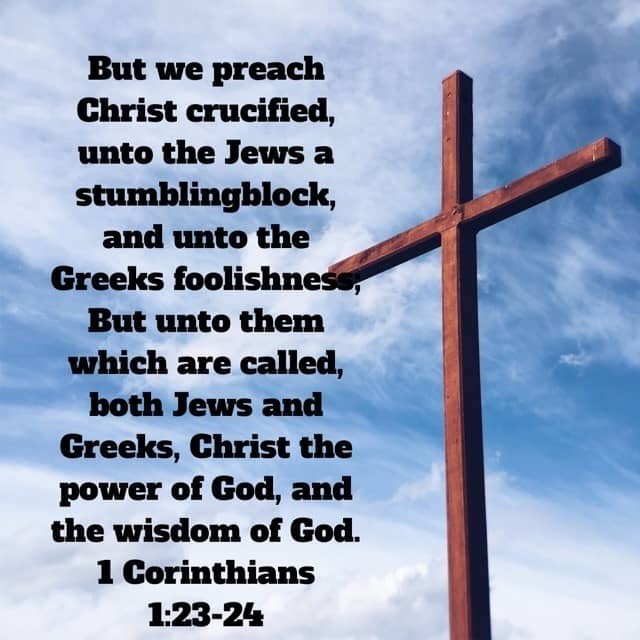 For many the cross is only an ornament, but for those of us who believe in God, it is much more than that, it is the power of God for salvation and is wisdom of God. Without a doubt, we can experience it when we accept Jesus as our Savior. At the same time, God gives us access to his kingdom, that is not another thing that the influence of God in every area of life. He opens our spiritual eyes and ears and if we allow him to, will fulfill its purposes and will set forth in us. The love of God for his people. An unconditional love, a love that surpasses all understanding and yearn for a close relationship with each person. Because we were created for that. Romans 5:8 tells us "But God commendeth his love toward us, in that, while we were yet sinners, Christ died for us". A perfect father and as there is not. By our sinfulness. Romans 3:23 "For all have sinned and come short of the glory of God". All have sinned and its goal is to forgive us. The sin must be confronted. We can ignore it and pay the price or be forgiven. To be justified. This is the essence of the good news: Jesus God went to the cross to pay for our sins, had to be deity, had to be the Son of God. So that the Cross is the center, the core of the Christian life. We would not be saved without the cross. Jesus crucified made us righteous. Romans 3:24-25 "Being justified freely through the redemption that is in Christ Jesus, whom God hath set forth to be a propitiation through faith in his blood, to declared his righteousness for the remission of sins that are past, through the forbearance of God". The crucifixion of Jesus is an event that can never be duplicated and never need to be repited, because Jesus came, died, rose and ascended to His Father and is at the right hand of the Father, interceding for us. It was a moment in history that may not be duplicated in the life of all creation, only happened once. Hebrews 9:24-26 "because Christ has entered, not into a sanctuary made with hands, figure of the true, but in the sky itself to be submitted now for us before God, and not to be offered many times as enters the High Priest in the Holly Sanctuary each year with blood of others. Otherwise it would have been necessary to suffer many times since the beginning of the world, but now in the consummation of the centuries, was presented once and for all by the sacrifice of himself to remove the sin". The cross represents the death of Jesus Christ that covered the sins of everyone, and not just having forgiven us, but live aware of the presence of the Almighty God. Our future is fixed in eternity if your name is inscribed in the Book of Life of the Lamb. For this, repeat aloud with me: "Dear Lord Jesus, I am here today before you, asking for forgiveness for my sins, I repent of each one of them, I set you the Lord of my life. Today I would like to make a new covenant with thee, I want to keep your commandments and thy precepts, to be real in my life, come and dwell in my heart, I give it to you and I give my life completely to you. Amen"
Recalls that the cross of Jesus represents his death, his resurrection, his presence in our life and that he will soon return for us.